The latest featured artist in the Montana BLACK Artist series cans is not actually one artist. SOBEKCIS, the twin brothers from Belgrade consisting of Sobek and Kcis, chose the Montana BLACK color Dove BLK 5125 to flex their visual muscle. We spoke to to the brothers to collect their thoughts on the Artist can project and why they chose the color and concept they did. Please introduce yourself and tell us a little about what are you doing and what are your plans for the future? Born in Belgrade, Serbia in 1991, we travelled and lived in many different, cities and countries. Right now we are back in Belgrade for the moment preparing for our upcoming solo shows. Considering plans for the future, we would say we are trying to stay on the same path as we have till now and just keep moving forward to new places and new opportunities. Why did you chose the color Dove and how did you come to your interpretation of the color shade into the design? We chose the color Dove firstly because of the name of the color and because we enjoy to use the imagery of birds in our work. Also the dove being one of the symbols for peace, it seemed as a good topic to use as and starting point for other elements to complete the over all design. 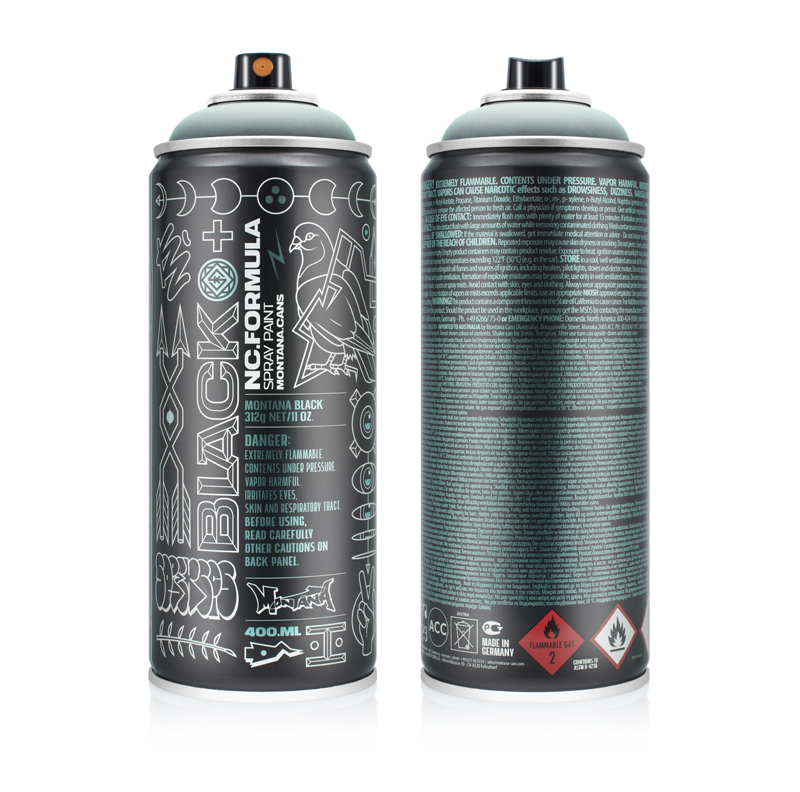 Concerning the render of the can, we chose a more verticle striped down approach as we felt that our usual way of working as we do for our graffiti and studio work, would not work well in a packaging design context. We also tried to compliment the can’s name, Montana BLACK, by using a shadowy aesthetic, therefore portraying a positive message through a carbon aesthetic. Whats you personal opinion about the Montana Cans Artist series? As artist, to have the opportunity to put your personal stamp on a tool you see in your hand, day-to-day was a great opportunity. Seeing what other artist had created before us gave us the idea, how could the Montana BLACK can look with our aesthetic? All accounted for, we think the artist editions are a great concept. It allows the artist to put their personal touch and creativity on the can knowing that it will show up all around the world. Vice versa, the brand gets apersonalized design from each artist. For more of their work check the homepage or follow them on instagram and facebook.